If you’re willing to do some chopping, these are both easy recipes that taste great. In fact, they’re so damn delicious that you’ll forget that they’re healthy, too! The spicy fish was a nice break from chicken and pork, and the rice salad is so fresh and cool – great for a hot afternoon. It’s a perfect substitute for potato salad or macaroni salad if you’re trying to watch your weight. Preheat the oven to 425 degrees (F). Spray a 9×13″ baking pan with canola oil spray. Sprinkle the fish with the salt & pepper and place it in the pan. Combine the coconut milk, cilantro, ginger, garam masala, garlic, and jalapeno in a blender and pulse until fairly smooth. Pour the mixture over the fish. Bake until the fish is just opaque in the center, about 15 minutes. 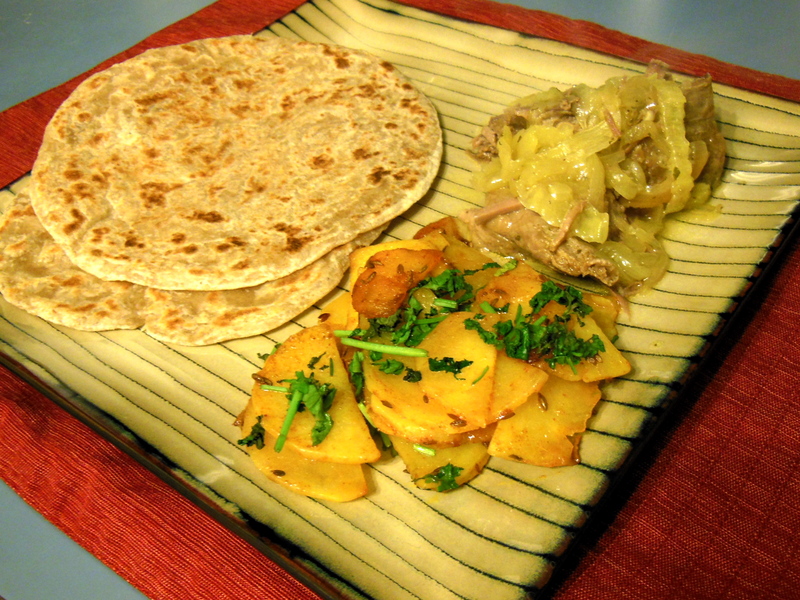 Garnish with more cilantro and serve with the rice. Tips: There’s really not anything you can do to mess up this dish, unless you accidentally make it too spicy. If that’s the case (you can taste your sauce before you pour it on the fish), you can just add some more coconut milk to cool it down. When we made it last night, we just added some more of the things we like (ginger, cayenne peppers, and a little more coconut milk). I’m sure this sauce would taste great on chicken, too! Bring a large saucepan of salted water to a boil over high heat. Add the rice and cook, stirring until tender, 25-35 minutes (depending on the rice). Meanwhile, bring a separate saucepan of salted water to a boil over medium-high heat. Add the quinoa and cook until tender, about 12 minutes. Whisk the lime juice and zest, the peanut oil, sugar, 1 teaspoon salt, and pepper to taste in a large Bowl. 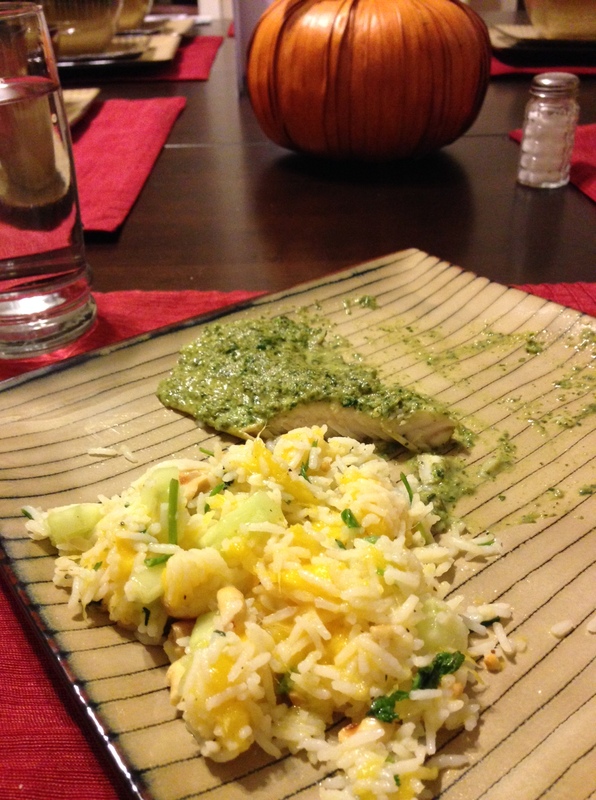 Add in the rice & quinoa, mango, cucumber, jalapeno, scallions, cilantro, and peanuts and stir to combine. Season with salt. 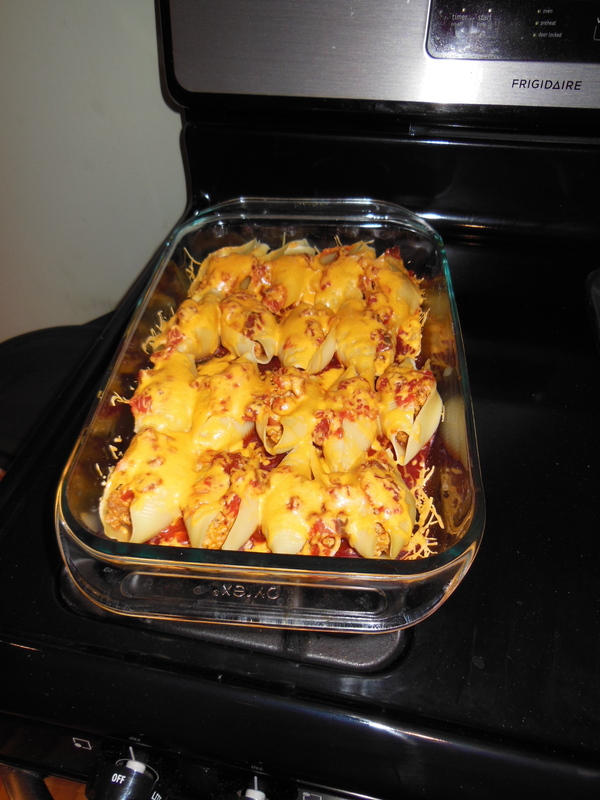 Tips: This really is an excellent dish – cool, with the perfect sweet/savory mixture. It’s best when it’s cold, so let it sit in the fridge for 10 minutes if you can (or, if you don’t want to wait, even throw it in the freezer for 5 minutes or so!) But, unfortunately, it doesn’t really taste good the next day, so make sure and eat it up while it’s fresh! If you’re tired of plain ol’ roast, try this recipe to change things up. But, think of it more as a template that you can tweak and make your own. It’s a good starting point, but throw in whatever you like! Serve over/with rice, mashed potatoes, or any side. 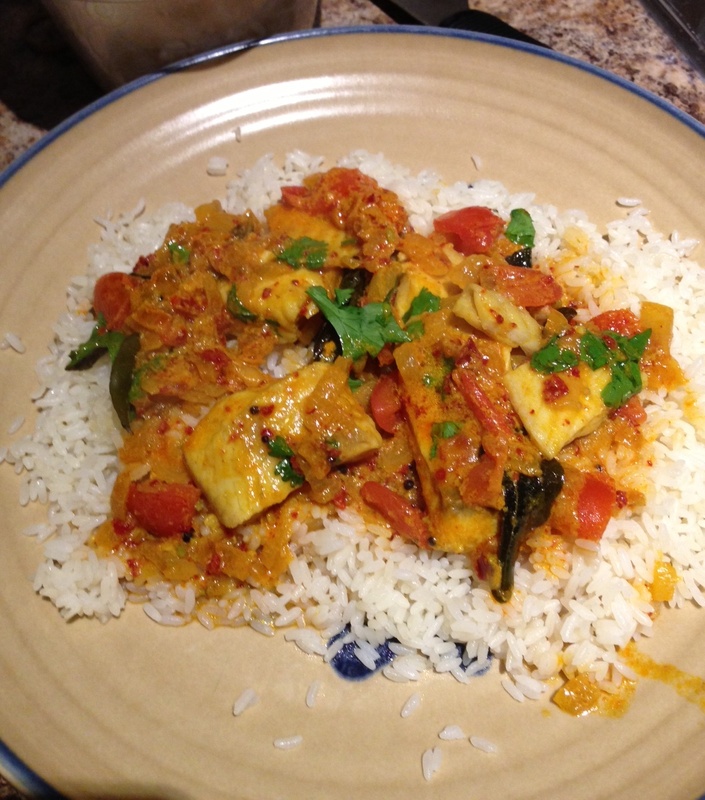 We cooked up some spicy Indian potatoes (recipe below). 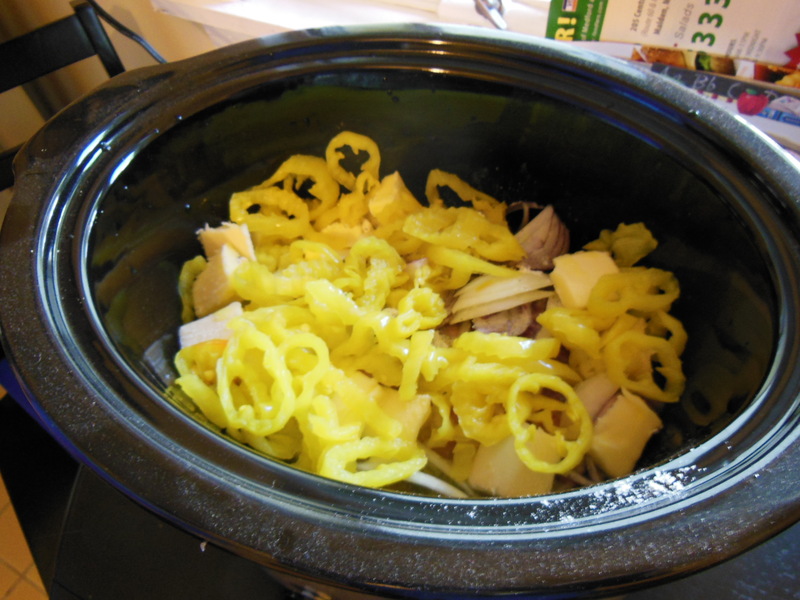 Use a smaller jar of banana peppers, and only about 1/2 to 3/4 of the juice. This would cut down on the vinegar/acidity. To make up for the lack of juice (and butter – like I noted above, we’d cut down on butter), we’d use a cup or so of chicken broth. I love recipes that you can throw together and then not think about for 7 hours! Peel the potatoes. 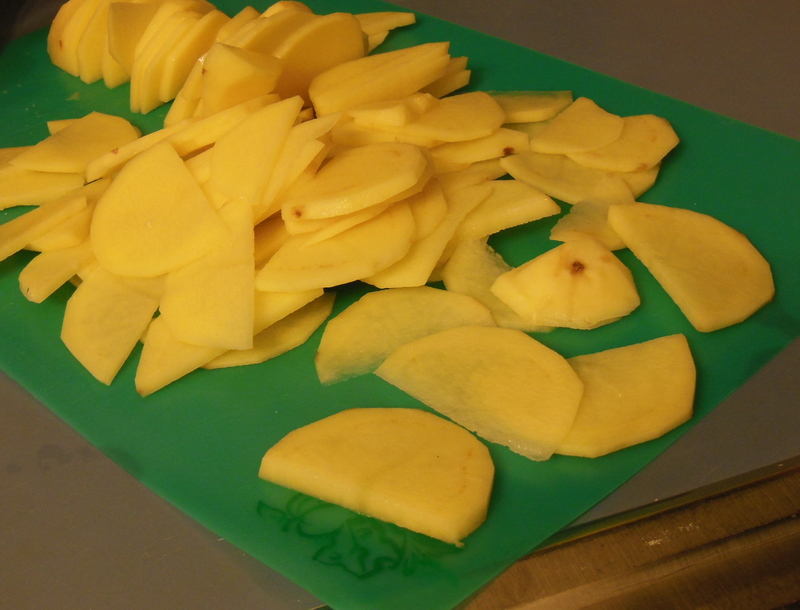 Cut them in half, lengthwise, and then cut them into thin slices. Heat up the oil in a pan. 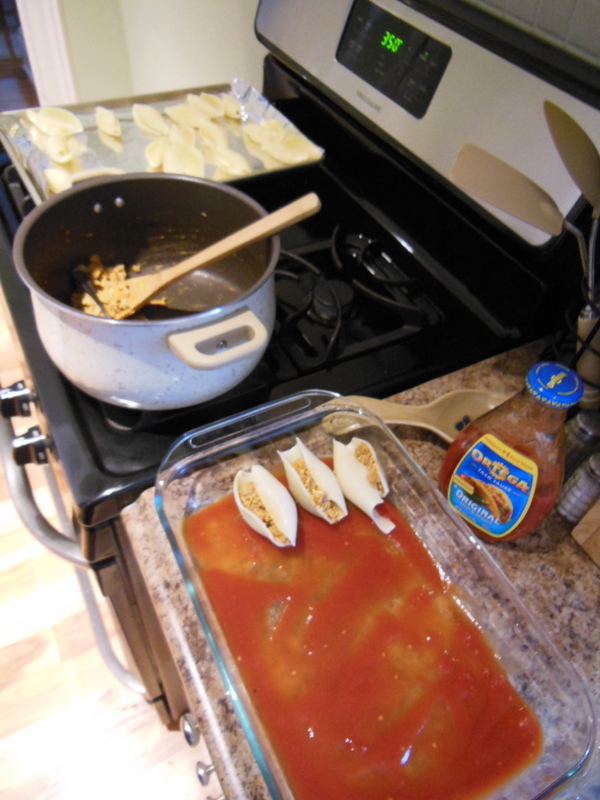 I’d say about 3-4 tablespoons of oil – enough to coat the bottom of the pan. Not too much, because you’re not deep frying the potatoes, but you want enough to be able to pan fry them. Once the oil is really hot (don’t let it start smoking, but it should be pretty hot! ), dump your mustard or cumin seeds in. They should splutter, or instantly start popping open. As the seeds are spluttering, dump in your potato slices, and then you may want to cover them for a few seconds until things calm down. Mix in your salt, turmeric, and chili powder. Cover and cook until your potatoes are the consistency that you want them. This should take about 5 minutes. The longer you cook them, the softer they’ll be. If you want your potatoes to have a little crunch to them, then turn up your heat to high for the last minute or so, and they should start frying some more along the edges. When they’re done, sprinkle some cilantro on top and enjoy! 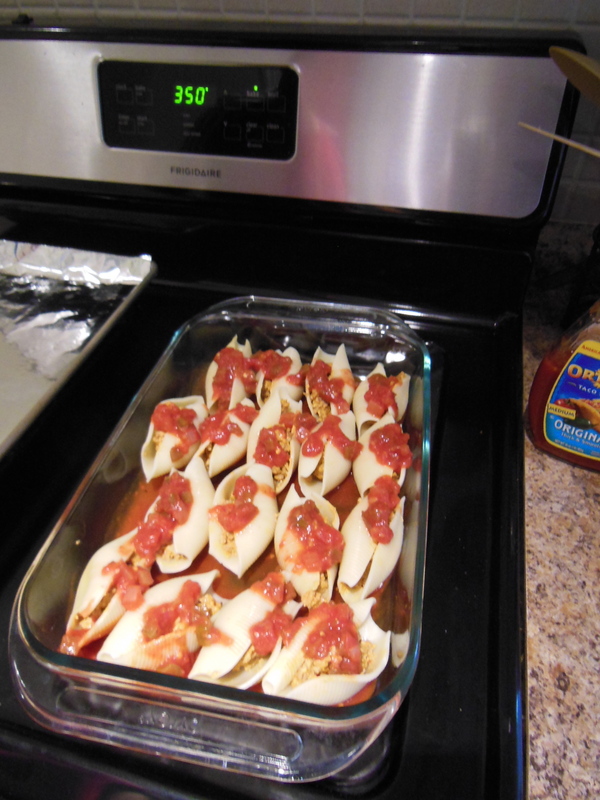 We made these for supper a few nights ago, and damn are they good! Dip the chop into the egg wash and then a final time into the flour & spice mix, pressing the mix into the chop to get good contact. Heat a skillet on the stove with about a half inch of canola oil. 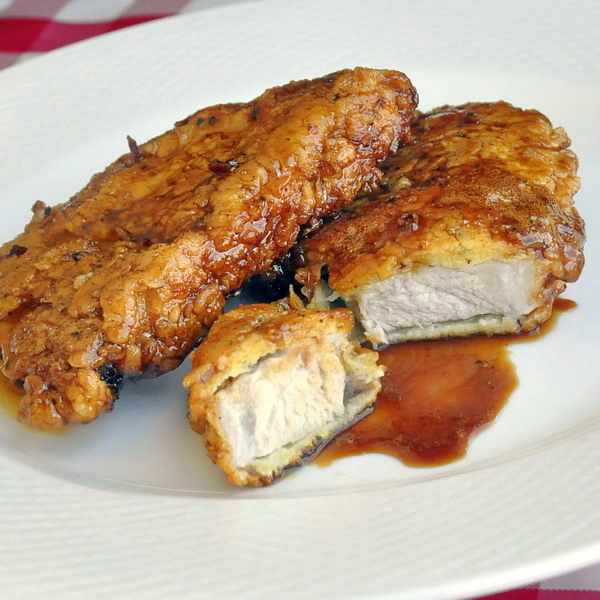 You will want to carefully regulate the temperature so that the chops do not brown too quickly on the outside before they are fully cooked on the inside. Just below medium works well. Fry the chops gently for about 4 or 5 minutes per side until golden brown and crispy. Drain on a wire rack for a couple of minutes before dipping the cooked into the Honey Garlic Sauce. Serve with noodles or rice. 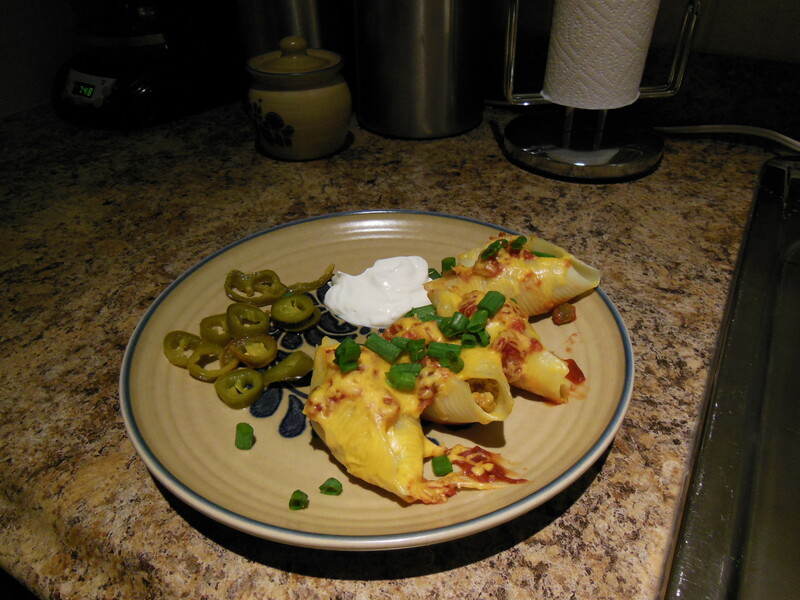 Photo and original recipe from Rock Recipes blog. 2) Combine all ingredients, mix well, and pour into 9 inch buttered pie pan. 3) Bake for 50 to 60 minutes or until golden brown and knife inserted in the center comes out clean. 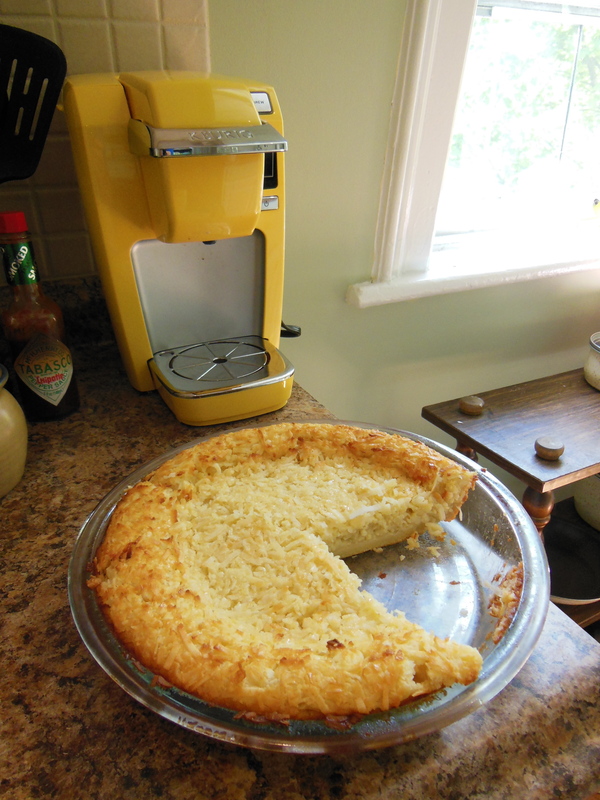 Over the course of baking, the pie layers itself into layers: a thin crust, custard and coconut topping. This is a quick, easy appetizer. It’s not exactly healthy at all, but they taste good! Open crescent rolls and spread out into two rectangles (don’t separate them into the triangular rolls!). Chop up as many jalapeños as desired. Mix chopped jalapenos and cream cheese together. Spread mixture on crescent rolls. Roll up until you have 2 logs (or 4, depending on the brand of crescent rolls and how they’re packaged). Chill in fridge for a while, they will slice better. The cooler they are the better, so either put them in the fridge for about an hour, or go ahead and place in the freezer, but don’t forget about them! Cut each log into slices (as thick as you want). 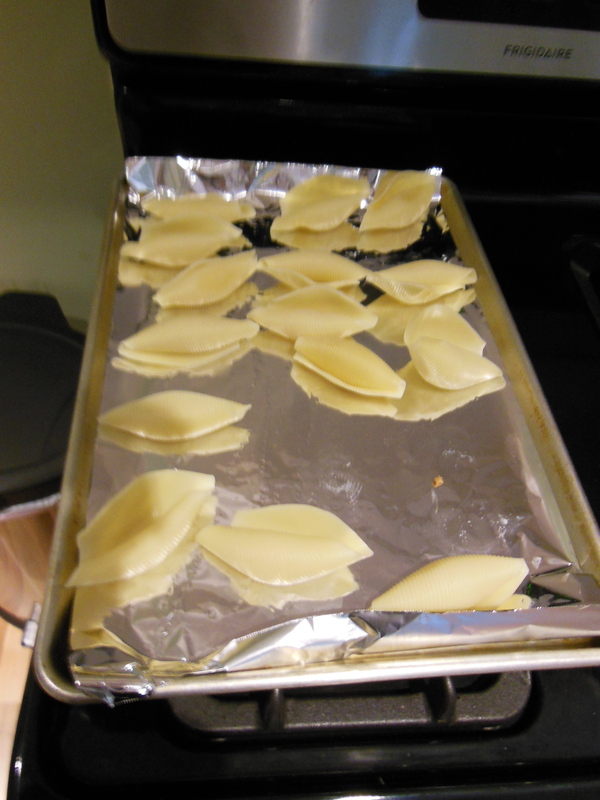 Spray cookie sheet with cooking spray. Bake slices for 13 minutes.